can Mickey journey across the Sandy Desert, brave the Rushing River and make his way through the Hidden Jungle. But watch out for Pete’s trickiest traps! My kids absolutely love any and everything Disney. I remember when Mickey Mouse Clubhouse first came out on Disney Junior. My kiddos loved it from the start. This is definitely a show that keeps your little ones busy and entertained. One of the things that I love is the questions they ask their audience so that they can feel like they are helping and participating. At almost eight years old my daughter still loves this show and Quest For Crystal Mickey was no different. This new adventure is very cute and reminds me of Indiana Jones but for kiddos. She still loves participating in the questions being asked and now that she's a bit older it takes her little to no time to figure out the answers. It's amazing seeing how fast our children are growing and that one of the shows that will be part of her childhood will be Mickey Mouse Clubhouse. Definitely a great show for children. Not only does it help with their education, but it's also a show that has memorable characters, songs and daily adventures, who wouldn't want to help Mickey and the gang out? Mickey Mouse Clubhouse: Quest for Crystal Mickey is now out on DVD for your little kiddos to enjoy! Disclosure: All opinions are my own. 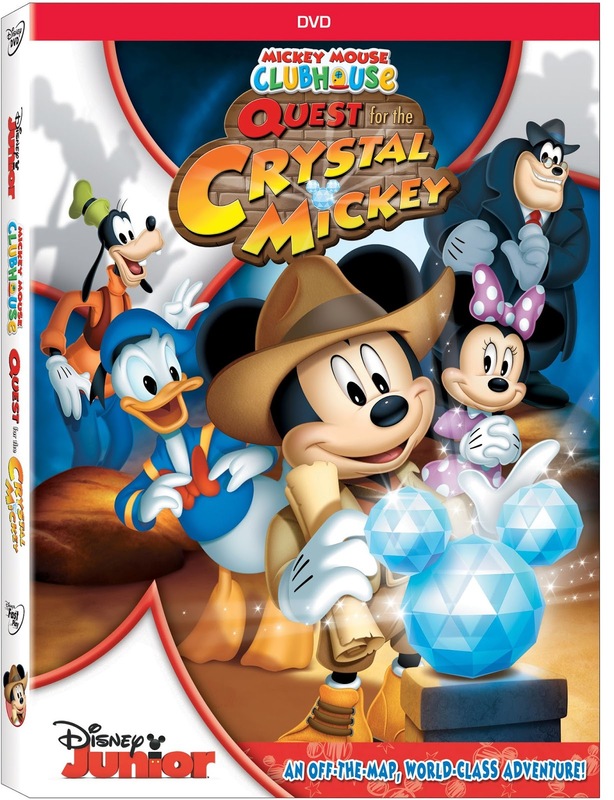 I received Mickey Mouse Clubhouse: Quest for Crystal Mickey DVD at no cost for the purpose of this review. No other compensation was received.